Geohot, the creator of purplera1n, has just released his own iPhone 3GS software unlock and named it purplesn0w. 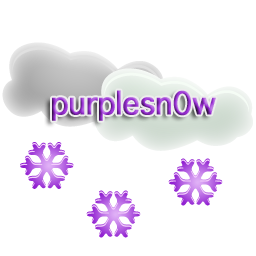 Who is purplesn0w for? If you own a jailbroken iPhone 3GS running firmware 3.0 and you want to unlock it to use it with another carrier (T-Mobile only in the USA), then purplesn0w is for you. Are you experiencing wifi/battery/other unlocking problems after using ultrasn0w? Then I highly recommend you try purplesn0w. Geohot says that it’s the best unlock out there. purplesn0w doesn't run any deamon (resident app) on the iPhone, it just patches three files: CommCenter, lockdownd, and wildcard. You need an activated device in order to use purplesn0w, this is a minus. Make sure you have an activated iPhone 3GS. If you have T-Mobile make sure you disable 3G in the settings. Once you have followed the steps above, your iPhone 3GS should be unlocked. Update: Geohot has also posted technical details of purplesn0w here along with the source code of purplesn0w. He plans to release an updated version of purplesn0w with hactivation support. Apple released iTunes 8.2. You can download it here. This update breaks your ability to use QuickPwn, PwnageTool, and iPhone Tunneling Suite (ssh over usb). Many file managers do not work with iTunes 8.2 installed. We don’t think this is a deliberate breakage of these tools. It’s just that Apple has updated a low-level USB protocol. It may also break Palm Pre’s connection to the device. So if you jailbreak, we recommend you not to update. Saurik had finished the bundle of Cydia for QuickPwn, working on Firmware 3.0. This includes major packages and extensions, like Mobile Substrate. Cydia for 3.0 will be ready before 3.0 firmware's release. DevTeam has announced that iPod Touch 2G is finally jailbreaked. The raw patch to the firmware that transforms the “tethered” jailbreak into an untethered one was released here but it’s not yet packaged up into the PwnageTool or QuickPwn flows. But other threads there are pulling together tutorials and other tips for those of you anxious to try this out now. For the curious, the hole itself is explained here. DevTeam quickly updated QuickPwn for Windows to version 2.2.5-2. Download it in utilities section. Yes, DevTeam released new version of their software. 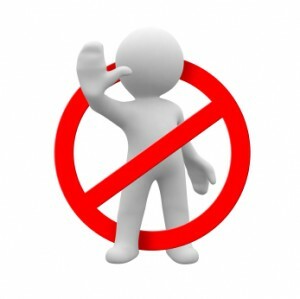 First of all, please, do NOT use unofficial software from unknows sites (f.e. quickpwm.com). 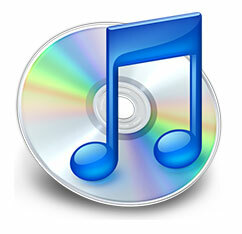 We recommend to download from torrent or official mirors. We regulary publish latets software and firmware links. Use them or the same ones from DevTeam site. iPhone 2G and iPod Touch: update to 2.2.1 with iTunes and run QuickPwn to jailbreak, activate and unlock you device. iPhone 3G + NO UNLOCK: If you do not need unlock, you are using your iPhone with one carrier or you hae factory unlcoked iPhone, just restore or upgrade to 2.2.1 using iTunes and use QuickPwn to jailbreak and add Cydia and Installer. iPhone 3G + UNLOCK: you need to preserve current baseband software. Preserving the baseband will ensure that you can still use “yellowsn0w” the iPhone 3G unlock application. To upgrade your phone to 2.2.1 and preserve the state of the baseband you need to create a custom .ipsw with PwnageTool. This custom .ipsw will not contain the baseband update but of course will still allow all the cool new stuff from 2.2.1. PwnageTool is only available for Mac OS X.
DevTeam updated yellowsn0w to version 0.9.7 to work with modified (!!!) firmware 2.2.1, in which you preserve old baseband from firmware 2.2. 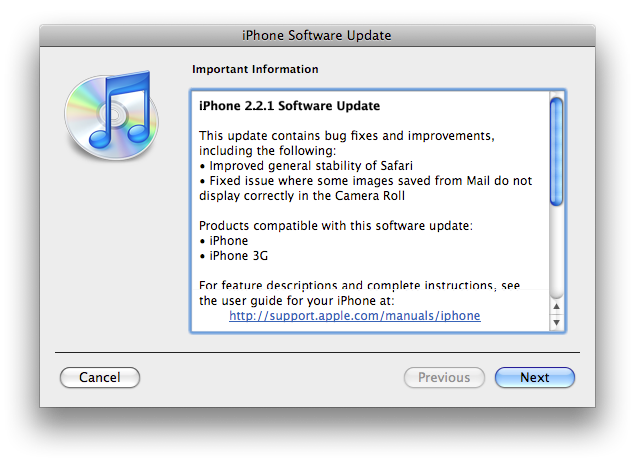 Apple has just pushed out Firmware 2.2.1 for iPhone and iPhone 3G, iPod touch, iPod touch 2G. You can download them here. Firmware 2.2.1 cannot be jailbroken at this time, so unofficial application users should wait for new version of QuickPwn from DevTeam. Unlock (yellowsn0w) also doesn't work for 2.2.1. Unofficially Apple fixed SMS bug: users suddenly experience inability to send SMS text messages on the iPhone 3G, receiving the message "error sending" upon attempting to send. If you have a 3G iPhone and want potential soft unlock in the near future do NOT use QuickPwn, and do not use the official ipsw or the iTunes update process without using PwnageTool. Preserving the baseband will give you the maximum chance for any upcoming software unlock. 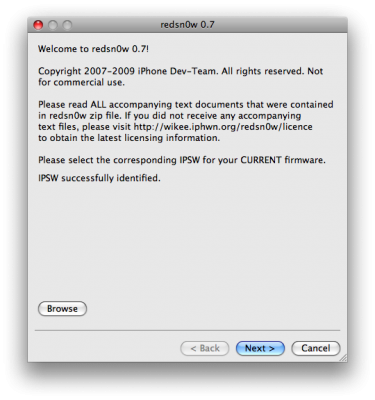 To upgrade your phone to 2.2 and preserve the state of the baseband you need to create a custom .ipsw with PwnageTool. This custom .ipsw will not contain the baseband update but of course will still allow all the cool new stuff from 2.2. The ‘late 2008’ MacBook/air/pro line of computers have an issue with DFU mode. 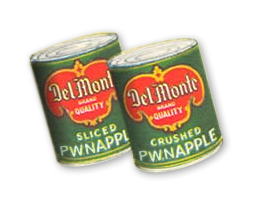 While it’s possible to go from Pwned 2.1 -> Pwned 2.2 (using PwnageTool), you can’t yet go from stock to pwned. If in any doubt use a different machine. Do you want to jailbreak firmware 2.2? There are many tutorials, guides and howto's came out recently. But I recommend you to stay away from these advices and wait for an official utility with 2.2 support QuickPwn or Pwnage tool. DevTeam says that 2.2 update SHOULD NOT be applied using iTunes if you want the chance of a soft-unlock in the near future. Use new version of PwnageTool (not avaliable yet, but will be soon). This is a step-by-step tutorial. If you have iPhone 3G this guide will help you jailbreak and activate the device. 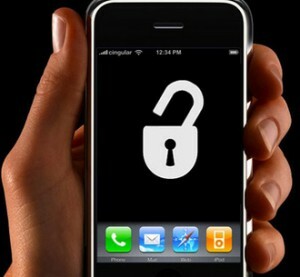 For iPhone 2G it will also perform the unlock. I recommend using 2.2 firmware, because iPhone 3G unlock is avaliable now. But you can use it with old v2.1, v2.0.1 and v2.0.2. It runs Terminal.app (non-apple application) running on 2.2b1 firmware. Thay say that version 2.2 is still vulnerable to pwnage and quickpwn on everything but iPod Touch 2G. 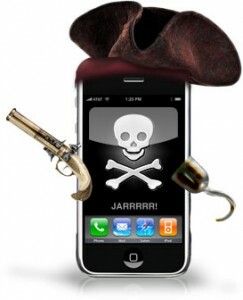 No news about software unlock for iPhone 3G or jailbreak for iPod Touch 2G. Auto-detection of firmware version, insistence on correct firmware bundle to prevent user epic fail. Use of iASign to activate to prevent bspatch epic fail. Sorry, no jailbreak for new iPod Touch and no unlock for iPhone 3G.